The 2nd State of Saudi Arabia. 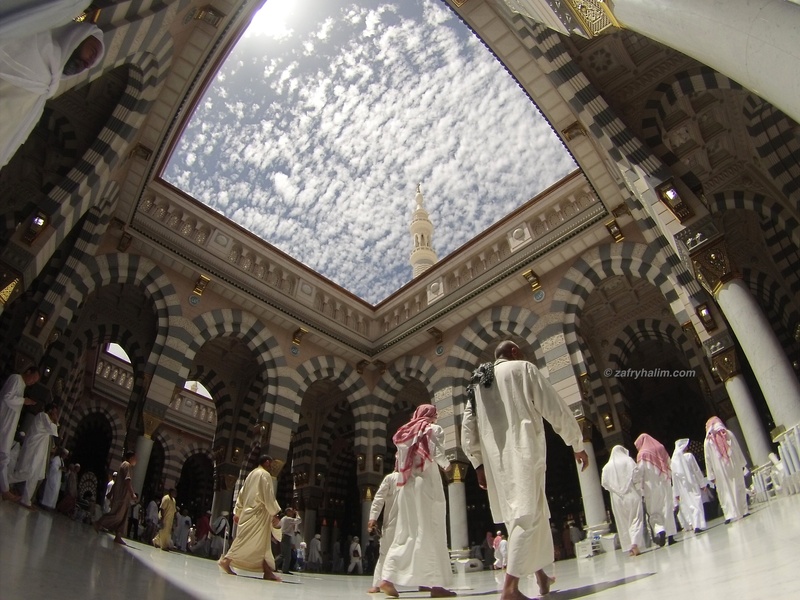 Muslims passing by under the flexible roof top of Masjid an-Nabawi in Medina, Saudi Arabia. The roof can be opened and closed at certain times. Al-Masjid al-Nabawī ( اَلْمَسْجِد اَلنَّبَوِي “Mosque of the Prophet”), often called the Prophet’s Mosque, is a mosque built by the Islamic Prophet Muhammad situated in the city of Medina, which also incorporates the Prophet’s house. It is the second holiest site in Islam (the first being the Masjid al-Haram in Mecca). Local and international Muslims attending mosques for Friday Prayers session at the town of al-Jubail ( الجبيل), located about 490km east of Riyadh, Saudi Arabia. al-Jubail is the Largest industrial city in the Middle East. It also holds the middle east’s largest and world’s 4th largest petrochemical company. It comprises the Old Town of al-Jubail, which was a small fishing village until 1975, and the new industrial area. al-Jubail industrial city is the largest civil engineering project in the world today.